to ever be featured on the cover of Time Magazine. That's as true today as it was 100 years ago and Elizabeth Arden becomes one of a luxury brand in the world. 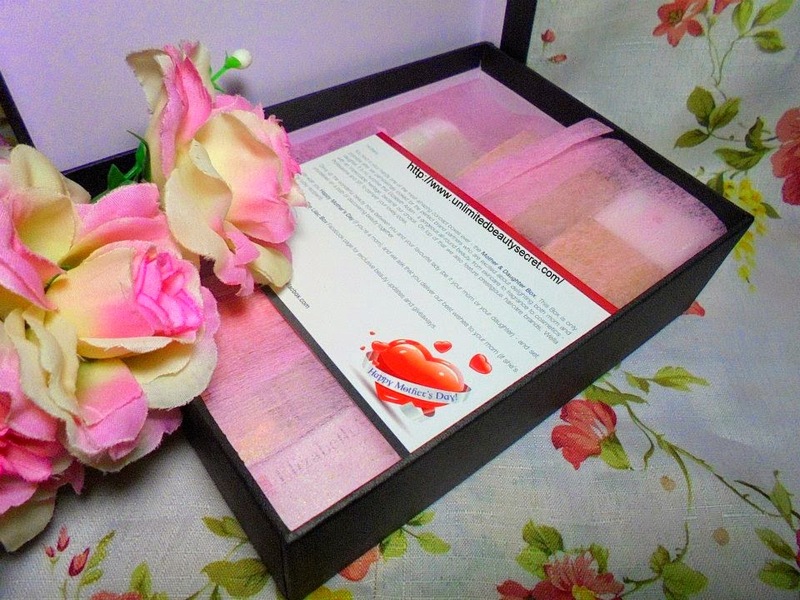 Thank to The Lilac Box, that bring Elizabeth Arden concept box for their fans. Luckily I managed to grab this limited edition Elizabeth Arden concept box . Let see what they get for us!!! 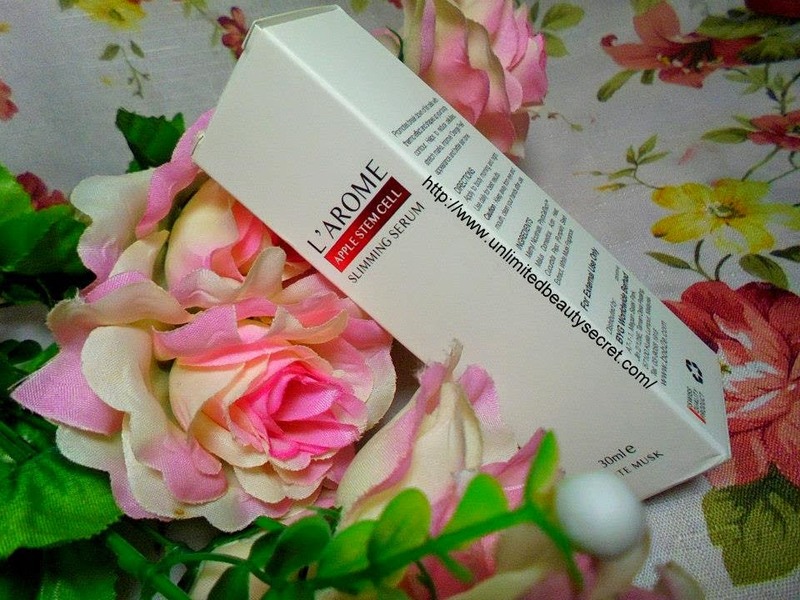 COMMENT & WIN CONTEST BY BOURJOIS LAST MONTH. Bourjois is France brand that has recently opened in Malaysia. 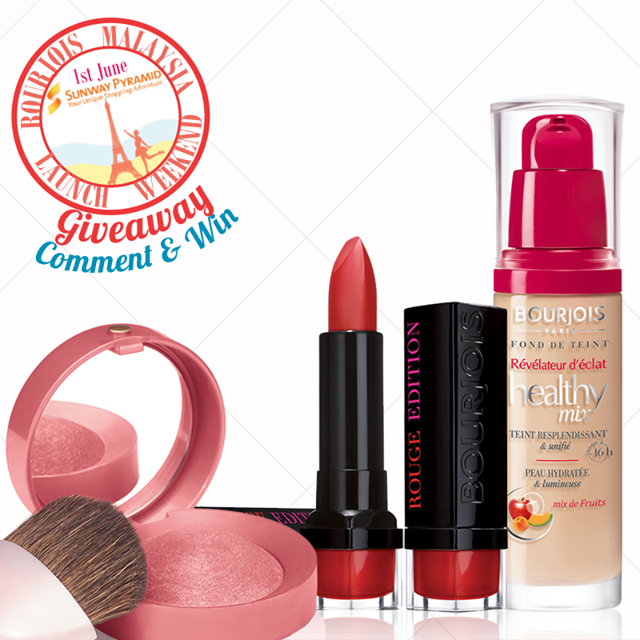 They are giving away our Top 3 Worldwide Recognised Bourjois products - Little Round Pot Blush, Healthy Mix Foundation and Rouge Edition Lipstick - to 30 lucky fans! Salam Ramadhan to all my Muslim friends and good morning peeps ! It’s raining this morning , it’s cold inside and the ground is wet . It doesn’t bother me to start my day with love,fill it with love and end it with Love. Love is what we need right? Opps, almost forget I need a bag that full of love too. Let see what Bag of Love gives you this month. Morning ladies!!! 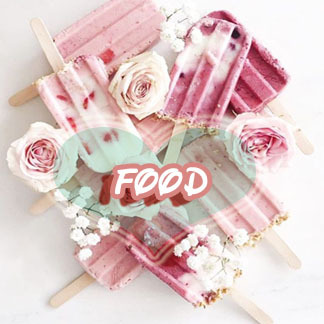 Have a great Friday <3 . What’s the first thing come across your mind after you wake up? 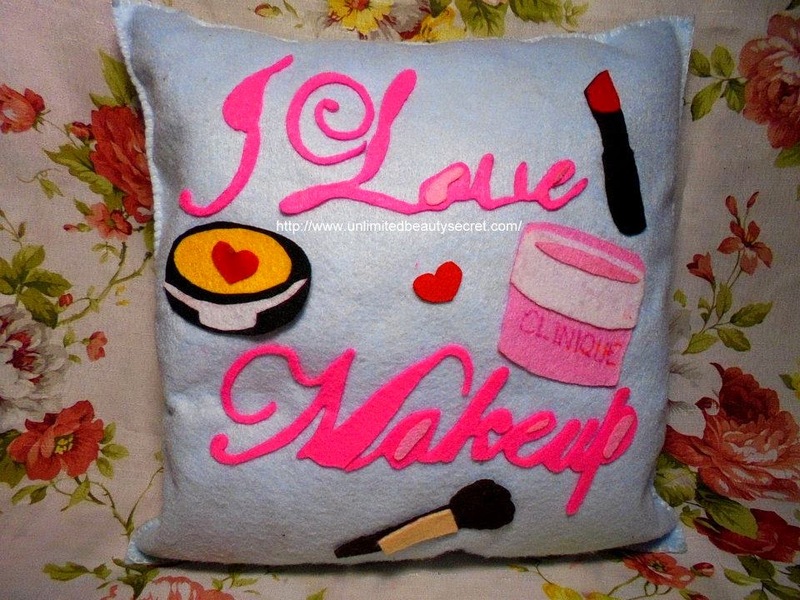 For me… ermmmm the first thing I been thinking is what makeup style should I wear? Should I wear eyeliner? Black or Brown? How about Lipstick? Pink or red? Ermmm blusher? Soft pink? Or striking pink? Hahah sound funny right? But the reality. Most of the girls will have the same thought with me. But why? This is because Make up is the basic beauty kit every girl needs in order to cover up an outburst of pimple and those terrible eye bags. 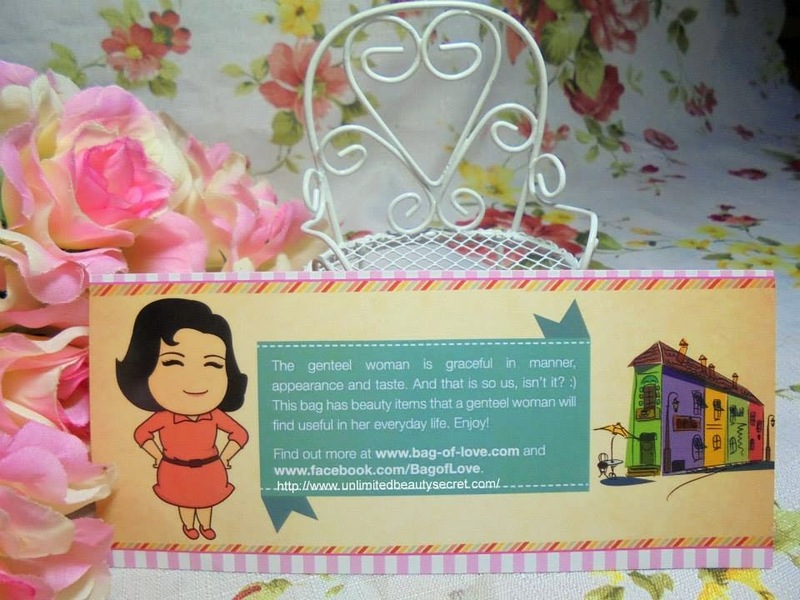 It could make us girls feel confident about ourselves everywhere we go. However, we should the right shade for every occasion even for office makeup. Women who tend to apply the wrong lipstick shade and it will completely ruin their look. This is because the women will feel befuddled with the wide range of lipstick shades at makeup department store counters. 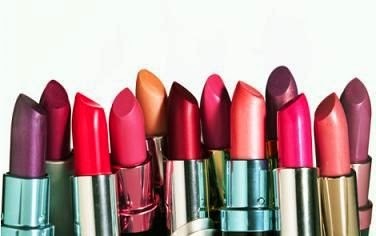 The guys will never understand our troubles looking for the right choice of lipstick. Assalamualaikum…. Ramadhan Bakal menjelma .Macam mana sudah bersedia? Ramai juga yang mengambil peluang untuk mengurangkan berat badan sebelum Syawal menjelma . For sure ramai yang nak melaram kalah artis gitu .Sepanjang Ramadhan mungkin ramai yang mengurangkan aktiviti beriadah di petang hari dan menambah amal di malam hari iaitu Solat terawih . Sambil-sambil beribadat kita juga boleh mengurangkan berat badan….. Macam mana tu? 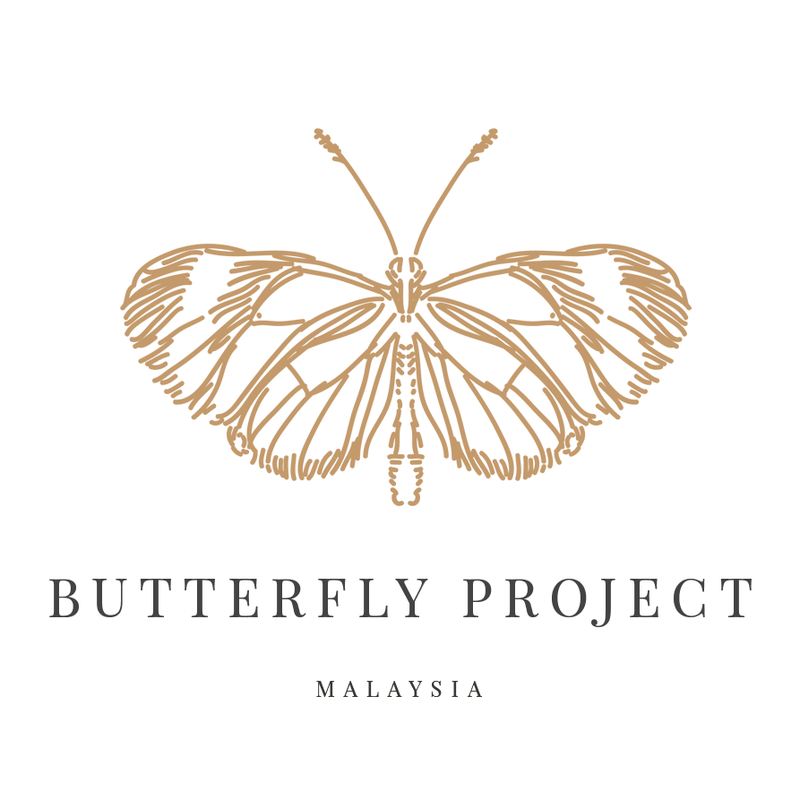 Assalamualaikum and Hey pretty <3. We all know the fairy tale story of Sleeping Beauty. She was cursed to sleep forever by an evil witch. Only the a KISS from her one true love could awake her. A KISS that will save her life. Year by year she waiting for her true love. One day a prince climbed to the top of the castle tower after fierce battle with the dragon. In a second, with a single KISS she wakes up and they lived happily ever after. So ermmm with a KISS she can wake up right? So a KISS is really magic, right? 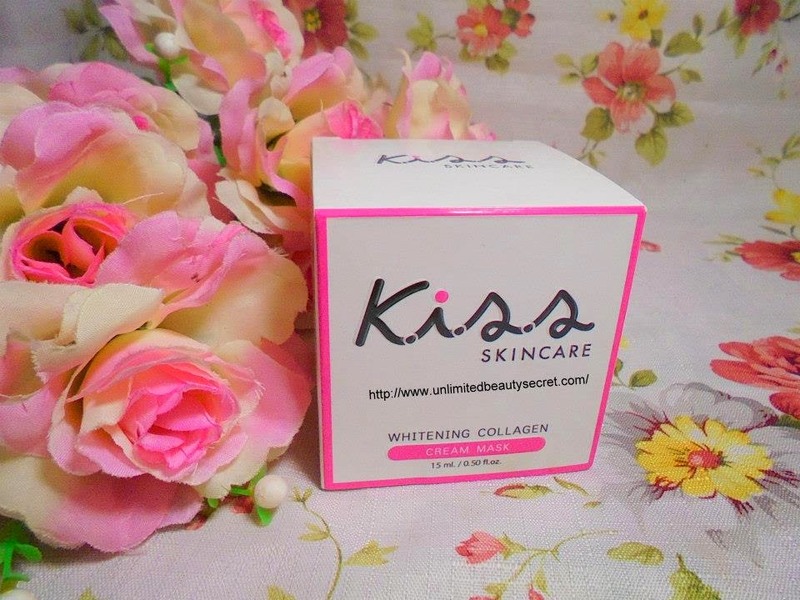 Can a KISS whitening my face???? Exposed to the sun every day make my face suffer from sunburn because the pigment in the upper layers. Now days, people are struggling to survive due to high cost of living, most of them suffer in the middle of month when their salary did not leave them with any savings after spending on essentials. Careful planning your finances every month will help you to survive. Even to buy a book for every month is a little bit difficult…. Ermmm maybe one book a year? Let said, If you could only buy a single book for this year, which one would you get? A novel? Cooking book? Motivation? Or perhaps a coupon book? Coupon book? Yup, a book that a lot of freebies, discount, and buy 1 free 1. Are you sure we have coupon book in Malaysia? Where to buy? Sure have a lot of freebies and discount?? Yup we have it in Malaysia! 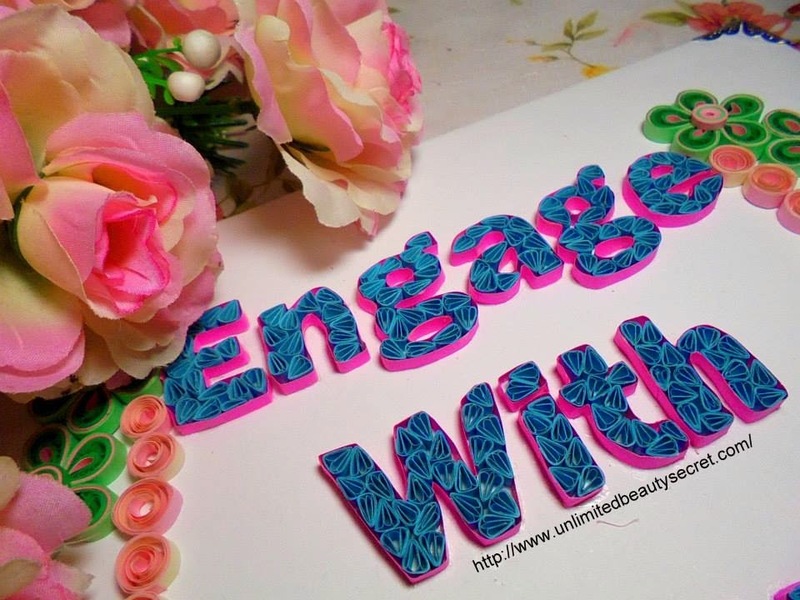 Have you heard about WORTHY BOOK? If not, let me tell you. Worthy book provided instant deals for the all year long. The Worthy book have two Edition , Which are Beauty Edition and F n B Edition. 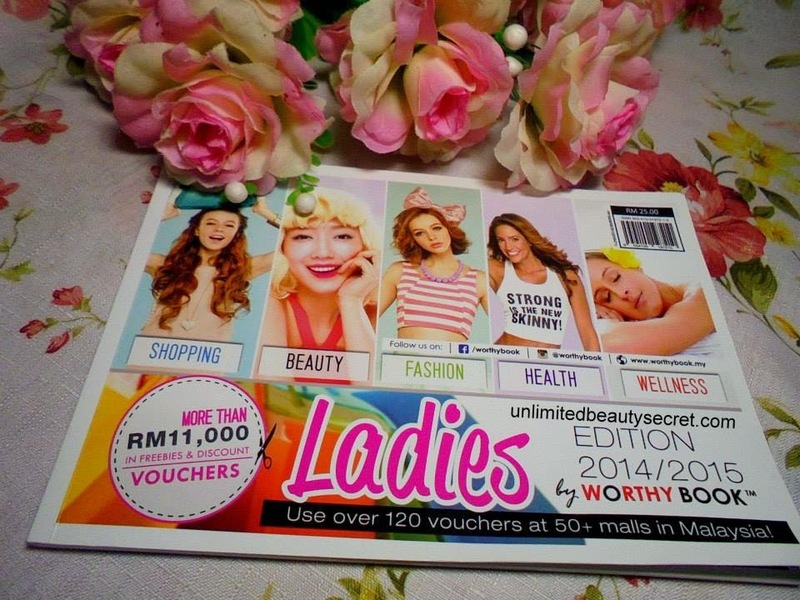 Worthy Book Ladies Edition 2014 / 2015 is packed full of tearable discounts, offers and free sessions last a year. 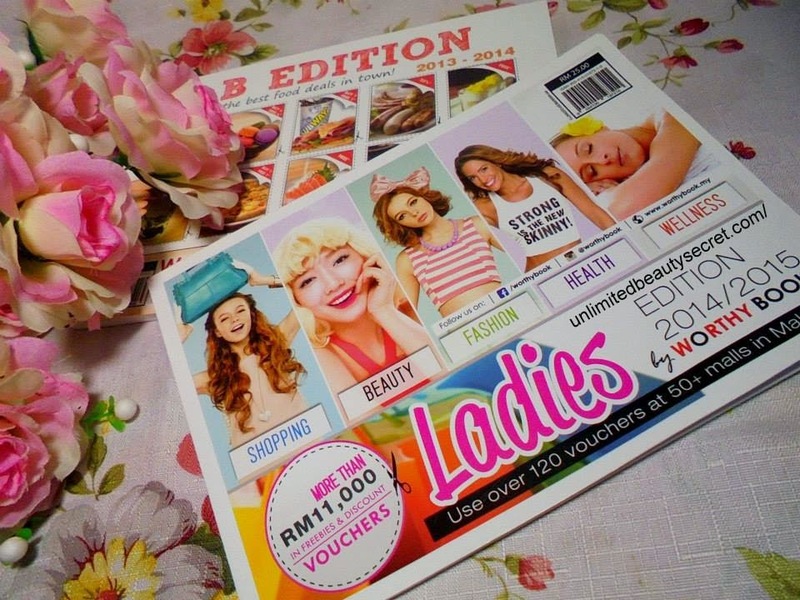 With only RM25.00 there are over 120 vouchers at 50+ malls in Malaysia to choose in this book! Each brand offering 4 coupons either discounts or freebies. This book successfully provides compilations of great deal and vouchers by the participating brands. 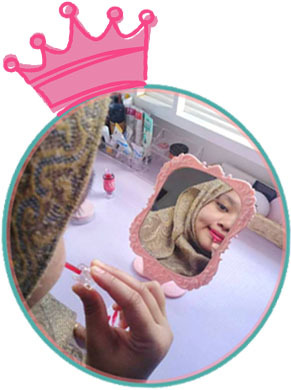 This Ladies edition focusing on beauty related product from head to toe. 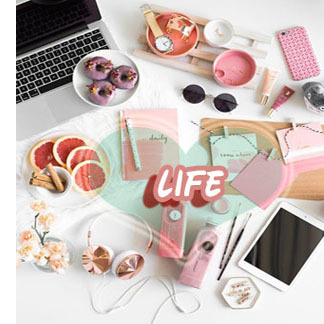 Which includes skincare, fashion, facial, make up, accessories, waxing, manicure, spa and many more . Moreover, you can planning to use this coupon in a year. Assalamualaikum and hye pretty <3. Summer is not ending yet right? But for me, we are facing “summer “ everyday in Malaysia. A perfect summer day is when the sun is shining, the breeze is blowing, the birds are singing, and we are dating. Ermmmm?? Orite! I love all the fun that summertime brings except for the sunburn and rashes from heat. Except for the weather that’s humid and hot. For other, it’s the time to play with sand, dig your toes into the beaches. Emm a perfect plan for a beach vacation? A few company also takes this advantage to launch their summer collection. Yves Rocher is one of it. 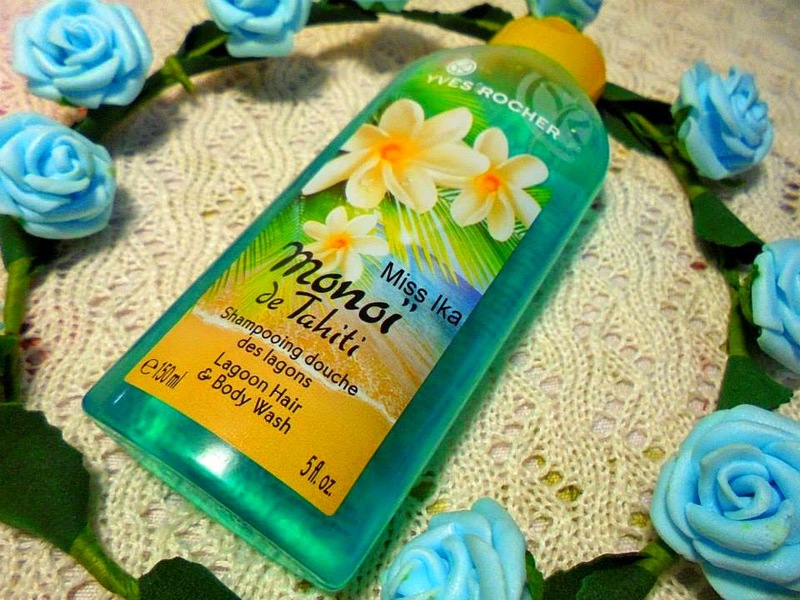 They introducing a gorgeous new line of bath and body products called Monoi de Tahiti collection, which is not available in Malaysia! -_-. First of all what is Monoi? Hey peeps :D. Did you know L’oreal is having a contest!!! 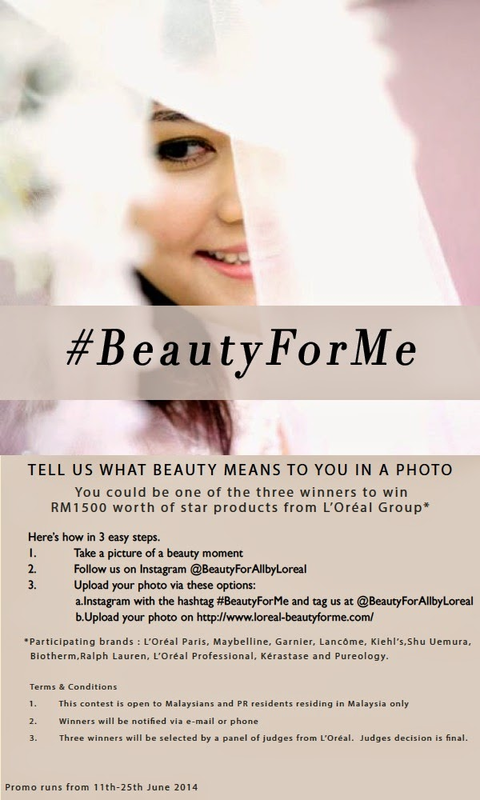 The contest is all about encouraging Malaysians to share their beauty moment on Instagram . 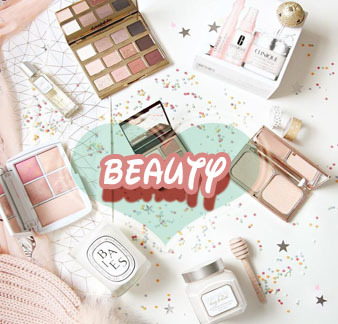 3 winner will be selected to win RM1,500 worth of star products from L’Oréal Group which are L'Oreal paris, Maybelline, Garnier, Lancome, Kiehl's, Shu Uemura, Biotherm, Ralph Lauren, L'Oreal Professional, Kerastase and Purelogy! What are you waiting for? Contest start 11 June until 25th June 2014! Hye pretty, Selamat malam diucapkan. Ini adalah review Ika dalam Bahasa Melayu untuk pertama kali nya dalam tahun Ini. Harapnya review kali ini tidak jangkal untuk kamu baca. Hehe. Sekarang kan musim cuti sekolah.Tahniah di ucapkan!!! Kerana ramai mengambil kesempatan untuk mengadakan majlis pertunangan atau pun perkahwinan!!! Jika diperhatikan ramai pengantin yang berminat untuk wujudkan photobooth supaya rakan-rakan, kaum keluarga dapat bergambar dengan Prop DIY. Satu idea yang kreatif bukan? Ermmm Dan tidak juga ketinggalan menempah Bantal Felt di hari bahagia mereka. Seperti “Mrs & MR” bantal felt yang sangat popular di gunakan di majlis-majlis perkahwinan. Sentuhan handmade sangat memberi kesan sebagai penyeri majlis. Terutama ketika bergambar! Good afternoon everyone, Sorry for being MIA for two weeks. I have a personal problem and everything is ok now. So I’m back for good reason. So let see, what we have today! But, before that let us have a cup of tea . 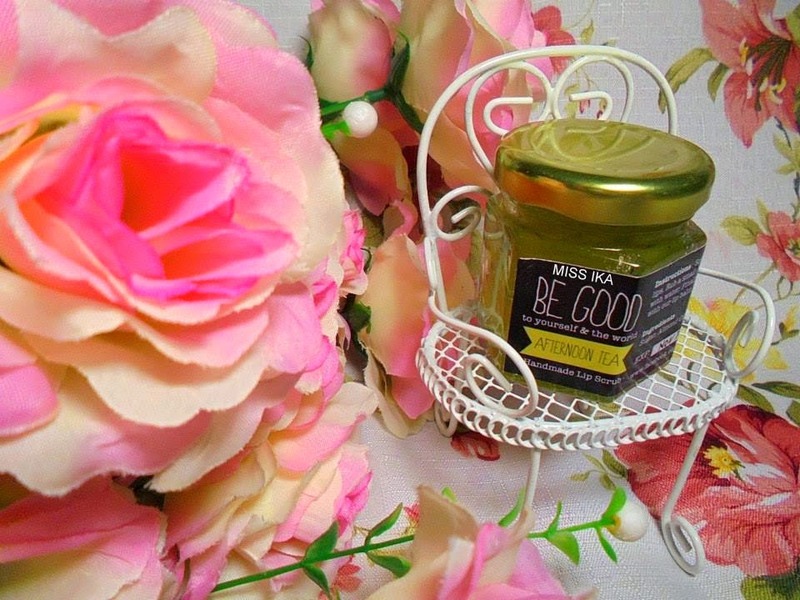 A cup of afternoon tea reduces the overall stress and helps to energy recharge for your whole day. While brew a cup of tea, the tea’s pleasant aroma soothing on the nervous system, you’ll feel more relaxed, calm and happy. Ermmm too nice, I want the scent to linger around me for the whole day!